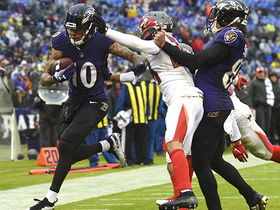 Analysis: Moore gets lost in the shuffle of Ravens wideouts, as he managed 25 targets across 477 offensive snaps (38 percent) this season. While he had one more reception on the year compared to 2017, his yards (248) and touchdowns (three) were both higher in his sophomore season, and he reached those totals in three less games. He's on the books through next season and has a good chance to stick around, if for nothing more than his kickoff return ability. Analysis: Moore's most notable contribution is as the team's top kick returner, and he adds depth at wideout with 19 receptions for 196 yards and a touchdown. 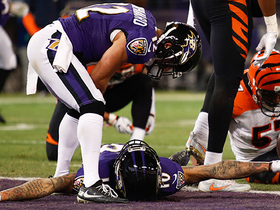 The Ravens are at full health at the position, so Moore will likely see limited opportunities again behind Michael Crabtree, John Brown and Willie Snead. 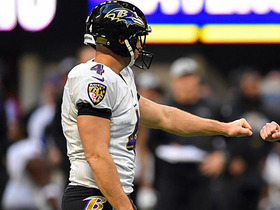 Analysis: Moore emerged from the Ravens' regular-season finale with a bruised shoulder, but his practice reps weren't restricted this week until he took a seat Friday. According to Jamison Hensley of ESPN.com, coach John Harbaugh expects Moore to be available this weekend, despite this lack of activity. 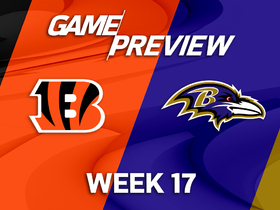 Assuming he's active Sunday, Moore will handle kick-return duties while working behind Michael Crabtree, John Brown and Willie Snead at wide receiver. Analysis: Moore exited Sunday's win over the Browns due to the bruised shoulder, but his full practice participation confirms the issue to was minor. The 25-year-old should continue to serve as a depth receiver while also handling kick-return duties in the wild-card game against the Chargers this weekend. Analysis: Moore caught two of three targets for 19 yards and still played 33 offensive snaps -- his highest total since Week 13 -- but he apparently was unavailable during the fourth quarter with an undisclosed bruise. The 25-year-old's status should be further updated once the Ravens resume practice later this week. Analysis: Moore is consistently playing about one-third of the Ravens' offensive snaps behind the likes of Michael Crabtree, Willie Snead and John Brown. In an offense with the sixth-highest run rate in the league, there simply aren't regular targets for the No. 4 receiver. Moore does well with his targets, as evidenced by his 8.0 YPT and 69.2 percent catch rate, but the volatile usage makes him difficult to roster in nearly all formats. Moore was unable to nab either of his two targets during Sunday's 27-24 loss to Kansas City. 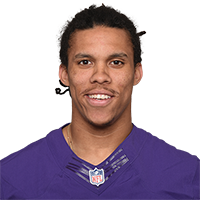 Analysis: Moore had entered Sunday with three catches for 36 yards in three games with rookie Lamar Jackson at quarterback. It was the first time he was targeted multiple times since Week 9. 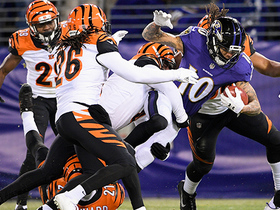 The Ravens have not been slinging the ball with the super-mobile Jackson taking the snaps. Sunday brings a favorable matchup against a bottom-10 Buccaneers pass defense, but Moore probably will not get enough targets to make it count. Moore caught his only target for a 1-yard gain during Sunday's 31-17 win over Oakland. Analysis: Moore has been targeted just once in three consecutive games and hasn't been sought out more than twice since Week 6. Don't expect too much of an uptick. In two games with Lamar Jackson at quarterback, the Ravens have run the ball on over 66 percent of their plays. That seems unlikely to change Sunday, even against a weak pass defense in Atlanta, which is surrendering 286 receiving yards per game. 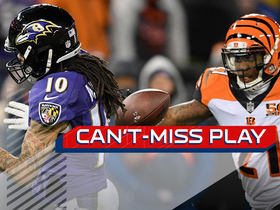 Moore caught his lone target for a gain of 14 and added an 8-yard run during Sunday's 24-21 win over the Bengals. Analysis: On Sunday, despite the change at quarterback, was more of the same for Moore, who has caught two or fewer passes in seven of his last eight games. 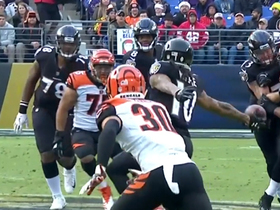 In theory, if Lamar Jackson and a run-heavy attack continues in place of Joe Flacco (hip), Moore's susceptible to even less usage, but he's probably not worth turning to regardless, even against a mediocre Oakland pass defense Sunday. Moore caught his lone target for a 30-yard gain Sunday against the Steelers. 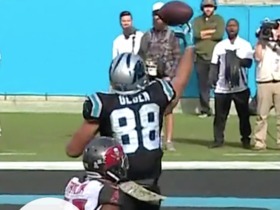 Analysis: The third-year player had a season-high in receiving yards and has caught 12 of his 15 targets for 128 yards on the season. However, opportunities remain limited for Moore despite his reliability when targeted with Michael Crabtree, Willie Snead, and John Brown absorbing the majority of the wide receiver targets. 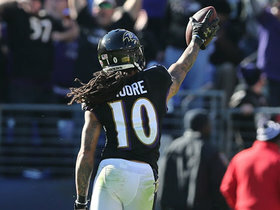 Moore and the Ravens are on a bye in Week 10 before returning to action Nov. 18 against the Bengals. Baltimore Ravens punter passes 21 yards to wide receiver Chris Moore on fake punt.